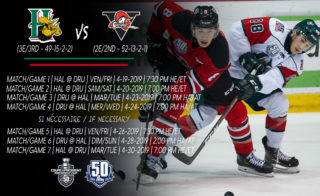 The Drummondville Voltigeurs put together their most successful season in seven years in 2017-18. Their combination of skill, speed and depth propelled the club to 92 points and a playoff series victory, their first in four years. Now, they want more. And they’re built to get it. Two separate transactions with Victoriaville at the 2018 QMJHL Draft should aid the Volts in their quest for more. 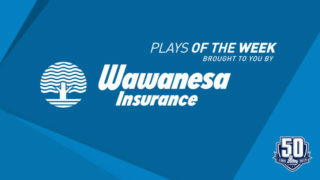 First, they gave up two first and two second round picks to the Tigres in exchange for left winger and Anaheim Ducks prospect Maxime Comtois. With 85 points in 54 games, Comtois was a go-to guy with the high octane Tigres last year while also representing Team Canada at the 2018 IIHF World Junior Hockey Championships. 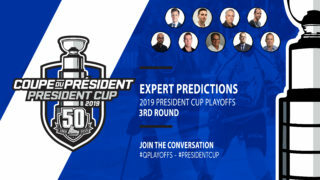 Moments later, Drummondville shipped a first-round pick in 2020 to Victoriaville for overage center Félix Lauzon, who registered 41 points in 52 regular season and playoff games for the Tigres. 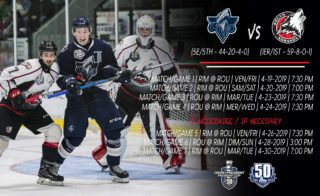 Add this to a crop of forwards that include returning veterans Joe Veleno and Nicholas Guay, as well as strong sophomores Xavier Simoneau and Dawson Mercer, and the Voltigeurs stand a good chance at leading the QMJHL in goals scored for the second straight year. The forwards won’t be doing all the heavy lifting offensively, however. 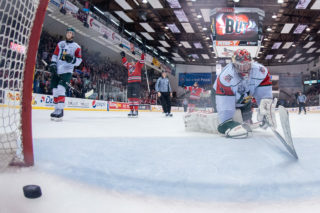 2018 Chicago Blackhawks first rounder Nicolas Beaudin, who finished tied for second in scoring among QMJHL defencemen last season, returns to anchor a defense corps that also features two-way threats in New Jersey Devils prospect Xavier Bernard and Marc-Olivier Duquette. Edmonton Oilers 2018 selection Olivier Rodrigue returns for his third season between the pipes in Drummondville after going 36-24 last year, regular season and playoffs combined. Off the ice, the Voltigeurs saw shifts in personnel as well. Steve Hartley takes the reigns of the club after serving as an assistant to Dominique Ducharme, who made the move to the Montreal Canadiens as an Assistant Coach in the off-season. Additionally, long time NHLer and “Q” Alumni Steve Begin joins the bench staff. Then there’s Desroches himself. The GM has pulled off a unique coup in having at least one impact 17, 18, 19 and 20-year old player on his roster. 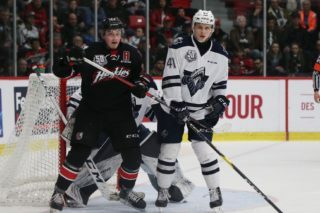 In gaining more skill, more experience and more versatility, the Voltigeurs have placed themselves in prime position to earn more success this season.